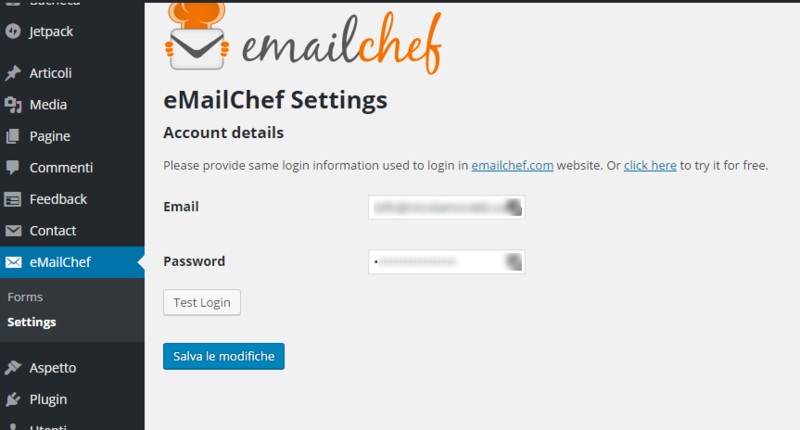 Easily collect contact form submissions and automatically synchronize them with your eMailChef mailing lists. 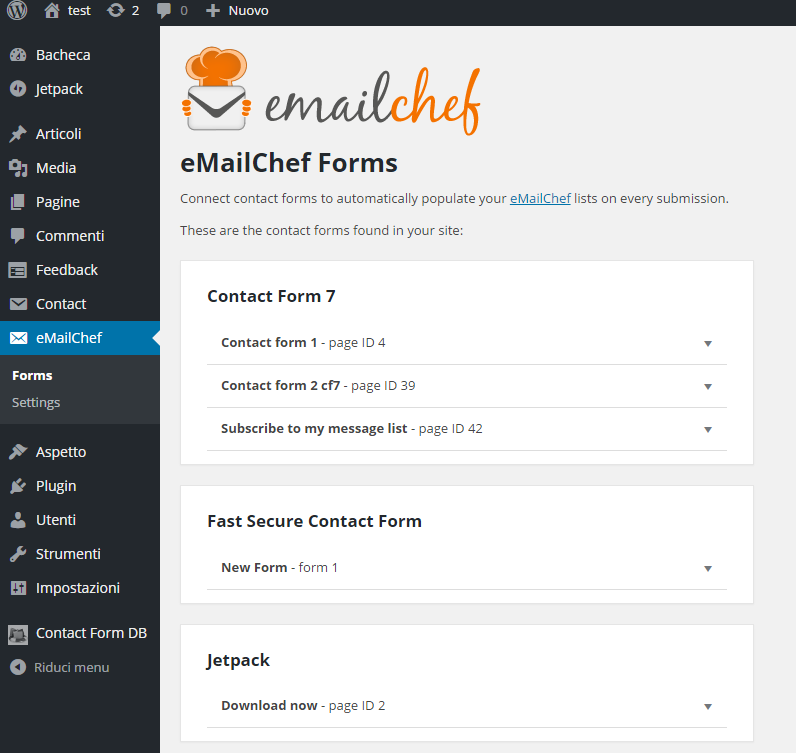 This plugin adds Contact Form 7 submissions to specific lists in eMailChef, including custom fields. Contact Form 7 is a free, flexible and easy-to-use contact form plugin, that allows you to manage multiple contact forms, and customize them in a breeze. All submission information will be automatically synchronized to your eMailChef list. You can use a different mailing list per contact form. For example, you can create a form for customer type (customers, resellers, suppliers…) and save their submissions information in different eMailChef lists to send them custom newsletters and save their registration data.